All of us who are interested in computer-assisted historical miniatures will be familiar with Carnage & Glory, perhaps the most popular system in use today (the current version is Carnage & Glory II - the website is here). Nigel P. Marsh, the proprietor and developer of the system has been kind enough to grant us an interview. You may have read Bill Gray&apos;s excellent review of the current system, A Match Made in Heaven, at wargamer.com. Rather than focusing on what the system does, and repeating material already covered in that article, we have asked Nigel some questions about the history and design of the system, his experiences with it, and what he will be doing with it in future. I remember seeing ads for C&G in The Courier many years ago. How long has C&G been around? Development of the original DOS version of Carnage and Glory began in 1987. I started marketing the system in 1991. Are you a computer professional? A programmer? What are your own tastes and preferences as a wargamer? I&apos;ve been playing with toy soldiers since the sixties. I wrote my first set of rules in 1969, aged nine, but they were probably limited to rolling a five or six for a kill. Back then I was using plastic Airfix figures, with collections built around their French and British Waterloo sets. In the mid-80s, having left college, I started to collect H&R 1/300th Napoleonics. I moved to New York City from the UK in 1987, and space was limited for gaming. My table had to fit under my bed, and my figure collections had to fit in a shoebox, and Heroics and Ros met those needs. I began attending conventions in the US in the early 90s, and I remember Donald Featherstone was a VIP guest. He was being shown part of my collection, that I&apos;d put into a painting competition and in true Featherstone style, he said, &apos;I can’t even see the buggers!&apos; and moved on. At that moment it struck me, at least for the convention scene, that perhaps 28mm was the way forward. I now have collections for Napoleonics, American Civil War, American War of Independence and English Civil War. I rarely refer to my figures as toy soldiers, for me those were the Timpo plastic knights I had as a little boy. I now prefer the term miniatures. I always think of C&G as a 25mm/28mm game, but that&apos;s because it&apos;s what I mostly play. What are your thoughts about miniature scales vis-a-vis C&G? The system is not restricted to a particular scale or figure size, or ground scale, as the system thinks in terms of actual numbers of men for casualties or combat and real distances, when considering movement and ranges. However, what is important, in my opinion, is the relative frontage of the unit when compared to the ground scale that you&apos;re using. If you represent a battalion with thirty-six figures, equating to six-hundred men, then the frontage of that unit should match the ground scale that number of men would occupy. In this case, twelve inches would represent about 150 paces. If it doesn&apos;t then there&apos;s something wrong. The old C&G was DOS-based, but you shifted to a Windows GUI format in 2001 (I think). What technologies did you use to develop the program? It has a remarkably small footprint. The original DOS compiler software was limited to sixty-four thousand code characters, which could be chained together to create larger single programs. In the development of the original C&G, these limitations meant that I was very frugal with my approach to writing code. You’re correct that in 2001 I released the first version of Carnage & Glory II, that was written specifically for the Windows interface. At that time, I had to translate all the earlier code to Microsoft Visual Basic. This compiler had none of the character limitations, and chaining requirement, that had restricted the earlier DOS based version. This was liberating but I was still writing code with my old habits, which ultimately helped create a relatively small footprint. What made you write the program? Did you create it for your own use, and then turn it into a product? Or did you set out to make a commercial rules set? Originally there was no intent to make a commercial set of rules, they were purely for personal use. However, two NYC gaming buddies, both now board members of the Historical Miniatures Gaming Society, John Spiess and Dave Waxtel, influenced my decision to market the software commercially to the wider gaming audience. How much effort is it to maintain the software, develop new features, and to run the business? The short answer is &apos;a lot of effort.&apos; I try to provide updates once or twice each year for the core software. These updates include new concepts or expansions to the original versions, and occasional user interface improvements. I&apos;ve never really considered there to be a business aspect to the software development. The returns are simply too small to justify the time and energy I devote to the software. It&apos;s a labor of love on my part, for sure. What is your development process? How do you handle documentation and QA/playtesting? The development of the software is purely an expansion of my wargame hobby. I will only write software to satisfy my own personal gaming needs, so if a period doesn&apos;t interest me I won&apos;t be writing software. Most of the process is one of trial and error. The forthcoming On Campaign system has been, at least, four years in development. I don&apos;t get up in the morning and think &apos;Okay, today I’m going to write the code to moderate map movement.&apos; It&apos;s a lot more organic than that. The campaign system currently has forty plus forms, or user interface screens, and behind every button on each form is a section of code, which in turn may lead to other portions of code. A form may start with a limited intent, with only a small number of interactive buttons, as I add each portion of code its functionality in isolation and in conjunction with others has to be checked. This process helps to ensure that the general mechanics of the code work. The next step is to ensure that the resulting outcome is justifiable historically. Endless hours of playtesting, solo or with other gamers, then help me to adjust and tweak those results in an effort to reach a satisfactory outcome. In essence I&apos;ve been tweaking those results for thirty years at this point. I have always been an avid reader of non-fiction and have used much of that reading to inform my software. Clausewitz wrote that battle can be broken into two phases, the destructive and the decisive. He suggested that the destructive phase, relating to the use of artillery, skirmish and volley fire, could take hours of persistent application to weaken the resolve of an opponent. Whilst the decisive phase, relating to the actual or perceived threat of the use of cold steel, against an opponent, whose will to resist had been previously weakened, could last mere seconds. This concept of the relationship between the destructive and decisive, represents the essential governing mechanic that I have modelled within Carnage and Glory. The supporting documentation is something of a hybrid. 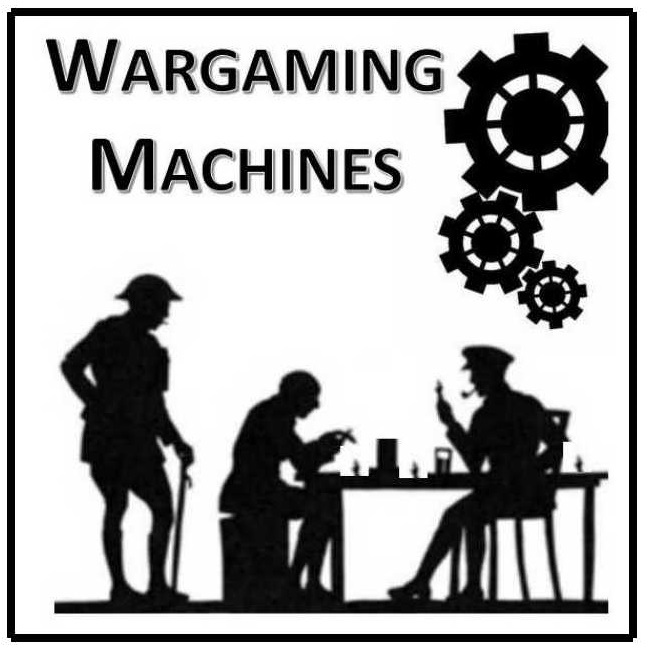 In one sense it is a manual of what buttons to press and when, and in another it is a ruleset that communicates the mechanics of engaging the wargame miniatures on the tabletop. The player has little interaction with the rules, other than how far he can move and fire, and what the terrain limitations are. Generally, the software takes care of everything else. There will always be exceptions to this free-flowing approach, but common sense and pro-rated movement normally resolve those issues without too much angst. Judging from appearances, your system is the most popular computer-assisted one out there. Have you spent a lot of time and energy promoting C&G? I have found that the best way to market the software is to run games. Carnage and Glory has been in evidence at the major east coast wargame conventions, Cold Wars, Historicon and Fall-In, since 1991. Currently, with a team of highly respected veteran GMs, we host between fifteen and twenty-five games at each of the three conventions. These games provide valuable exposure to both new and experienced players. The system is very convention friendly, as a novice needs little introduction to the mechanics of the system, and within a few turns the concepts are understood. Most players learn to appreciate that it is the application of good tactics rather than good luck with dice that tends to reward a player with victory. You seem to have a pretty active user community. Do you do a lot to support them, or are they self-organizing? I see the Yahoo Group as an extension of my customer service, and I therefore take a very active role in that. However, there are always insights that can be provided by veteran GMs and players that help to inform the group, and that&apos;s great, and something I welcome. Did you base the rules on any particular set of paper-and-dice rules? Has it changed a lot over the years? There is absolutely influence from the 70s and 80s generation of rules. During the early 70s I gamed a lot with WRG 1685-1845 Horse and Musket rules and in the late 70s and early 80s I dabbled with Bruce Quarrie and Scotty Bowden&apos;s more complex rule systems. I felt that the latter two authors provided great combat models, but that they were headache inducing. In 1986 I was introduced to the pre-PC version of Follow the Eagle, authored by my high school wargaming partner Dave Watkins. Follow the Eagle, pre-Eaglebearer, used a Sinclair Spectrum ZX rather than a PC computer. I left the UK for the States in 1987, where the Sinclair was incompatible with the 120/208 volt power outlets (I actually fried my Sinclair the same day I arrived in NYC). With no alternative, within the week, I purchased a Tandy (Radio Shack) PC-compatible computer and Borland TurboBasic compiler software, and started the development of Carnage and Glory. How much effort goes into historical research for the system? What are your main sources/inspirations? A tremendous amount of reading goes into supporting and informing the core principles and concepts behind C&GII. As I reference above I am indebted to Clausewitz for the concept of the destructive and the decisive. His concept of friction goes without saying. Other modern scholars that I am indebted to include Paddy Griffith, David Chandler, Rory Muir, Matthew Spring and Brent Nosworthy. I highly recommend the three books by Nosworthy, Anatomy of Victory, With Musket Cannon and Sword and Bloody Crucible of Courage. Also, every wargamer should read John Keegan&apos;s The Face of Battle. People seem to play the Napoleonic version of C&G more than the others, but the ACW and tricorne versions seem very popular, too. And you cover several other periods. What are your thoughts about the different versions/periods of C&G - do they all use the same basic engine underneath the covers? Are you planning to expand the periods you produce it for? How much extra effort is each new period? My first love in gaming has to be the Napoleonic period. This was where Carnage and Glory began and continues to grow in development of initial concepts. Paddy Griffith’s book Battle Tactics of the Civil War initially gave me the courage to develop the American Civil War version as an extension of the core Napoleonic system, and having stepped forward to the mid-nineteenth century, I felt it possible to step backwards to the mid-eighteenth century also. I have since gone further back and forward to provide additional modules. Core elements might remain the same, such as weather and ground condition algorithms, fatigue and morale calculations. What changes are the technical aspects of weaponry, including range and rate of fire, the formal battlefield formations and methods of changing formation, and the troop types that would be found on the different period battlefields. With the core elements in place, period modifications and playtesting for a new module may take anything from one to two years. I am focused on the campaign version of the software currently but have an opportunity to modify the Pike and Shot version to develop a late Medieval set to cover the fifteenth and sixteenth centuries, which could start development after the release of the campaign version. Computer-assisted miniatures are seen as a "niche-within-a-niche," and people seem to have strong opinions about this type of game. What has your experience been? What criticisms do you hear most? How do you respond? I think, and certainly in my own case, the development of computer moderated systems was a reaction to the over-complexity of gaming models that were prevalent during the 80s and 90s. However, the introduction of computers was only one reaction. Dice games also underwent a transformation during the 90s and 00s and which continues up to today, with an apparent rejection of the more overtly complex systems. Some will argue that we should only game for two hours, or with a dozen figures per side, as both approaches will improve the gaming experience and bring more people to the hobby. Perhaps that&apos;s true, but I still prefer to play a game, to conclusion, with twenty to thirty units on the tabletop in two to three hours, and know that fatigue had a part to play, as did the weather and the ground conditions, and that I got to play with hundreds, rather than a few dozen figures. There are three common criticisms that I regularly hear voiced. The first is that the game is slowed due to the bottleneck at the computer with a single input source. However, in my experience with a good GM, inputting the information to the computer is quick, what slows the process is the indecision from the players. The second is that there is too much fog of war and the process is not transparent enough. Personally, I believe the introduction of greater friction or fog of war is a positive, rather than a negative. The third is that there are no dice and therefore no element of chance or luck. Personally, I think we make our own luck, and I’d rather focus on the use of good tactics, rather than a reliance on my ability to roll a pair of sixes to sieze victory. Do you see computer-assisted miniatures as a growing segment of the hobby? What do you think the future holds? At virtually every game I host at a convention I seem to have someone stand over my shoulder and say &apos;Wow, so the computer controls all the game mechanics and accounting, that makes so much sense!&apos; The crowd has certainly grown over the years, and in my experience, once a receptive gamer has seen the light of computer-assisted gaming it&apos;s hard (though not impossible) to return to dice (or card) driven gaming. I don’t really worry about the future other than none of us are getting any younger. I suspect that the relationship between computers and dice (or cards) in tabletop gaming will remain at the same relative level for the foreseeable future. If miniature tabletop gaming continues past the current generation, then who knows what the norm might become, but I suspect that computers, in one guise or another, will have a greater role to play in the process. There&apos;s a lot of new technology out there, but I know from my own experience how much work it is to port an existing application onto a new platform (like mobile devices, for example). Are we going to see a version of C&G for our tablets and smart phones? Whether you use a tablet, phone or computer keyboard, you still have to input information to the app or software. C&GII restricts this to a single source point of entry. At conventions this typically revolves around a single GM, who also acts as the umpire. This single source entry point, in my opinion, actually helps reduce the potential for error and cheating. If everyone has access to data input, the chances of error will probably increase, and sadly the opportunity to cheat will increase also. Ultimately, the whole point, for me, has been to reduce the interaction of the player with the rules, so they can focus on their game and tactics. So, I’m okay with the software being limited to computer, rather than expanding to tablets and/or smart phones. I guess I prefer the keep it simple, stupid approach. Computer-assisted games can do things which paper-and-dice systems can&apos;t. What do you see as the main benefits of using a computer-assisted system? Are there any design trade-offs? Primarily, I see it as the integration of those elements that require the most accounting in a traditional set of rules. Which include mental and physical fatigue, fatigue of a cavalryman&apos;s mount, time of day, changes in the weather and season, variable morale of a unit or brigade, the ability to count losses individually, and the ability to calculate the victory status of both sides in a game at any point. A potential trade-off to these advantages is the level of initial data input required, pre-game, to prepare your miniature units for combat. Inputting information to an army list data base to record my collection may take a few hours but, in my opinion, the research and effort is just another aspect of the hobby. You have been working on a campaign system for your rules. Can you tell us more about it? When we can expect to see it? On Campaign is intended to be used primarily by three principal wargamers. Two will act as the commanders-in-chief of two opposing armies, whilst the third assumes the role of the Gamemaster or Umpire (GM). The GM will be exclusively responsible for all computer interaction and input, relaying information, generated by the system software, to and from the players. Additional wargamers can be assigned tabletop roles as general engagements are generated during the campaign. Additional principal wargamers can become engaged in the campaign when one or both armies separate their forces to an extent that they can no longer maintain close communication and it becomes expedient for an army to operate in two or more distinct wings. It is also optional for a commander-in-chief to employ a chief of staff, who can then act as his council, to interpret the various reports, and compile new movement orders et cetera. Communications between the players and GM can be conducted by email, text or in person. The commanders-in-chief are provided with operational campaign maps, and command ID counters that they use to record the known locations of friendly and enemy commands. The maps can be attached to a 17" x 23" (or 18" x 24") magnetic dry erase board, and the ID counters can be adhered to magnets (for example, use magnetic business card), and cut out for placement and movement upon the map. It should be the general goal of an operational campaign to be short, to ensure that the losses from attrition and sickness are kept to a minimum, maintaining the effective fighting strength of the army. The supply of munitions will be finite, so there will be an added incentive to defeat an opponent whilst those available supplies of munitions remain. The campaign will be ended once all munitions are expended or captured. As the available supplies of rations and munitions, carried by the Independent Combat Commands directly, are exhausted, and the forces become more reliant upon resupply, protection and defense of the line(s) of operation will become more essential to the security and integrity of the armies engaged. The loss or interdiction of an army&apos;s primary base and/or line of operation would be disastrous for the afflicted army. Campaign victory status is reported by a comparison of losses, fatigue, morale, and the relative availability of supplies available to an army. The integrity of the line(s) of operation and safety of the primary base will also be considered as a determinant of final victory status. As the line(s) of operation becomes compromised, so the victory status will be shifted against the affected army. This helps to reinforce the importance of the line(s) of operation, as the lifeline of an army, without which it is virtually impossible to prosecute an effective and successful campaign. The system can accommodate large forces; however, the intent is not necessarily to fight the Russian Campaign of 1812. The system is at its best when coordinating the movements of multiple corps, representing perhaps fifty or sixty thousand combatants, at an operational level of engagement. The basic intent is to place our tabletop games within the context of an operational campaign, subject to the vagaries of the season, weather, attrition and logistics. Ultimately, it may require the collections of a group of individual gamers, or a club, to amass the numbers required, but when setting up a campaign the maximum number of miniatures and table size available should also act as a guide to the scale of the campaign. Both sides receive basic information detailing the opposing orders of battle. This represents a list of the combat units and generals but should not identify unit strengths. Each commander-in-chief will be provided with a theater of operations map, which they use to locate base (IBC), train (ITC) and independent combat command [ICC] start locations. These locations, once determined, will be forwarded to the Game Manager or Umpire [GM]. The GM should share the location of the opposing primary bases and army Headquarters [HQ] at the opening of the campaign. As the campaign progresses the intelligence received from scouting, espionage and partisan activity will present a picture of the location and composition of the various Independent Combat Command’s [ICCs], both friendly and enemy. The location of the primary base, which is essentially a static command, and the associated line of operation is critical to the conduct of future operations. As this is the only source of stockpiled resources, rations and ammunition, which may be required to resupply the armies during the ongoing campaign. It is possible to relocate a base (by conversion to a train), however, there are restrictions on the quantity of supplies that can be moved by the mobile train. Each commander-in-chief should divide his army into a number of independent combat commands (primarily divisions and brigades) and locate them on the map, using the six-digit map coordinate as a reference, and forward this information to the GM. The GM will then input these initial independent commands to the system. In the event of a general engagement (tabletop battle), to facilitate deployment from column of march to line of battle, each ICC should be organized to designate the position of each combat unit within the column of march. Each side should develop a plan of operation for the campaign. This document can be as complex or basic as necessary, and at a minimum should define whether operations are to be conducted offensively or defensively. This document once finalized should be shared with the GM. What is your long-term vision for C&G? Simply, that it continues to provide many happy hours of gaming for wargamers around the world.